THE COMMITTEE ROOM: An Interview with Brian Kellow, author of "Can I Go Now? 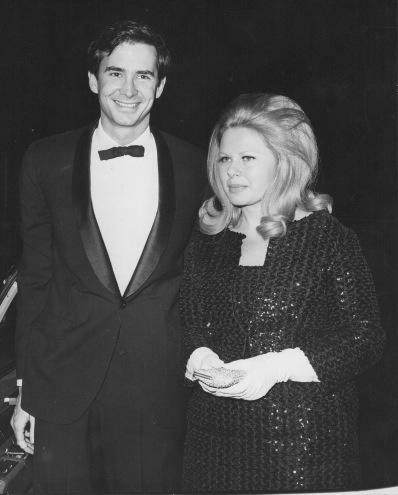 The Life of Sue Mengers, Hollywood's First Superagent." 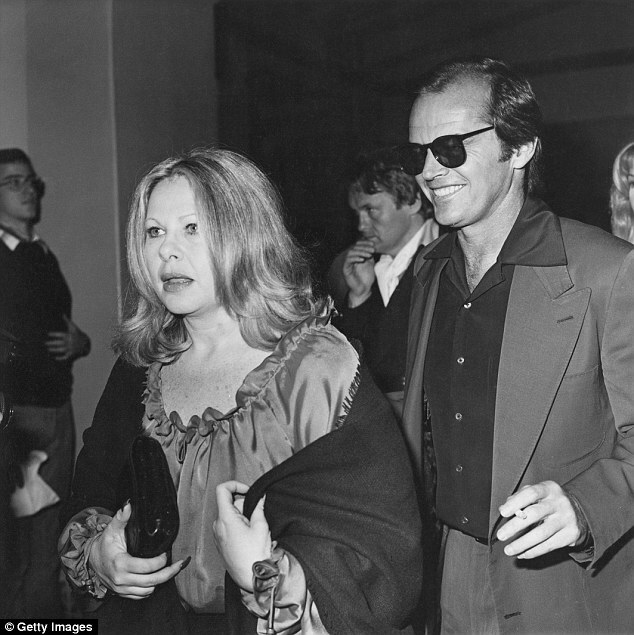 Sue Mengers with Jack Nicholson, 1977. Even by Hollywood standards Mengers had an outsized personality. As a young woman in New York in the early 1960s, she earned her stripes as an agent by booking B list clients in theater and television gigs. A zaftig, blue-eyed blonde and highly ambitious, Mengers was willing to do whatever it took -- incessant phone calls, sleeping with a producer -- to get a client a part or to land a new client. In her Hollywood prime, the middle aged Mengers worked and partied non-stop in a haze of tobacco and pot smoke, and offered blunt, profanity-laced career advice to those she considered worthy enough to be her clients. Kellow told TCR -- "[Mengers] wielded enormous power. So many stars wanted to be represented by her, and a lot of studio heads and producers hated and feared her, with good reason...She also had a very keen gut-level understanding of the New Hollywood--of the change in material, the move toward more provocative and unusual topics. She knew that there was an audience for that sort of thing. And it was a great audience, while it lasted." 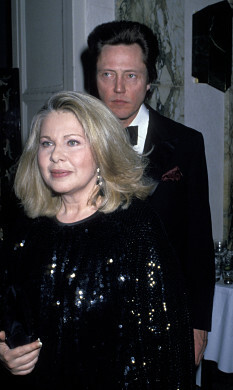 Sue Mengers with Christopher Walken, 1989. Mengers wasn't interested in discovering and developing young unknowns. Her forte was making very big movie stars out of performers already possessing some measure of fame on television or on Broadway or in supporting film roles. Gene Hackman is a prime example. He was a character actor approaching middle age when Mengers took him on. "Sue was relentless in getting Gene Hackman the role of Popeye Doyle in The French Connection when no one else wanted him. She was relentless...that movie was the one that really put him over the top, and I don't think she felt he was ever properly appreciative of her efforts," says Kellow. British star Michael Caine, under the guidance of Mengers, joined the ranks of Hollywood's big time leading men. "In the case of Michael Caine, the game was to put him on a level with some of the top American actors," Kellow told TCR. "She also wanted to show audiences his versatility; she encouraged him to play gay men in California Suite and Deathtrap at a time when a lot of movie actors wouldn't have gone near [such roles]." 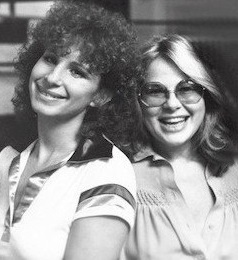 Mengers with Barbra Streisand, c. 1980. Other performers benefiting from the Mengers magic include Barbra Streisand, Ryan O'Neal, Faye Dunaway, Dyan Cannon, Candice Bergen, Elliott Gould, and Ali MacGraw, along with directors Peter Bogdanovich and William Friedkin. In other words, a Who's Who of 1970s Hollywood. Kellow says that Mengers' greatest strength was her honesty. "She could tell her clients the truth, even when they might not want to hear it. In Hollywood, that's a rare gift," Kellow told TCR. "She was also brutally tough: she delighted in holding studio heads over a barrel. The story of how she got Gene Hackman $1 million for that awful movie Lucky Lady is hilariously funny. She knew the studio was in a bind and she made them pay." For most of her career Mengers was employed by Creative Management Associates (CMA), founded in the early 1960s by Freddie Fields and David Begelman. Though Fields and Begelman were Mengers' bosses, the pair are barely mentioned in Can I Go Now? This is in stark contrast to Judy + Liza + Robert + Freddie + David + Sue + Me, a memoir by Stevie Phillips, another 1970s superagent and Mengers' CMA colleague (discussed in TCR in October 2015), in which these two wheeler-dealers are major characters. Kellow told TCR -- "Freddie Fields and David Begelman really let Sue build up steam on her own, They weren't at all jealous of her, and they didn't try to keep her in her place. I think they too were quite intrigued by her and wanted to see exactly how much she could pull off. And then they could get credit for backing a winner." What's Up Doc? poster, 1972. Mengers encouraged her stable of stars to keep busy and not wait around for perfect scripts that may never come along. She reminded them that being out of sight usually means being of out of mind and that a large body of work is bound to contain treasures among the junk. And, of course, if you work a lot you make more money. Some clients, such as Caine, embraced this just-do-it style, with his film appearances running the gamut from the killer bees disaster pic The Swarm to Woody Allen's urbane Hannah and Her Sisters. Mengers' favorite client was Barbara Streisand, whom she considered something akin to a sister. Despite this closeness of agent and star, Streisand was among those clients who resisted lending her time and talent to low quality material just for the sake keeping in the public eye and fattening the wallet. One of Mengers' biggest triumphs was What's Up Doc?, a sendup of 1930s screwball comedies, that teamed Streisand with two other premier Mengers clients, Ryan O'Neal and director Peter Bogdanovich. The movie was smash with both critics and the public. Still, Streisand only reluctantly agreed to reteam with O'Neal in The Main Event, a lame romantic comedy directed by journeyman Howard Zieff. Though savaged by critics, The Main Event was another box office smash but it was also the kind of commercial schlock that led Streisand to eventually seek another agent. Mengers with Woody Allen, 1981. "I spoke with Barbra Streisand for the book, and she was very candid about the fact that they often didn't agree on the quality of material Streisand was being offered." Kellow told TCR. "Streisand had very mixed feelings about The Main Event, and Sue just saw it as a nice, big, juicy commercial hit. Sue had intense respect for Streisand's talent, always--even after they had broken up as client and agent. But she had nothing to do with the musical end of Streisand's career at all, only with the movies. And some of them -- Funny Lady, A Star is Born, and The Main Event --were pretty crummy. It's a shame that Sue couldn't have gotten her more material on the level of The Way We Were. The best thing Sue did was get her a lot of money--$4 million for a month's work on All Night Long." By the 1980s, most of the performers Mengers' had taken to the top had moved on to other agents. Such changes are par for the course in show business but Mengers took it personally. In Can I Go Now? Kellow writes -- "Sue's contempt was fearless, epic, freely vented and unleashed and indiscriminate. It was one thing to be angry that a client had left; it was another to wish that he would get cancer and die." The film world was becoming more smoothly corporate and less personality driven. Mengers' flamboyant style, genuine love for movies, and adolescent-like thrill at being with movie stars (even stars she had created herself) didn't fit in with business school trained, balance sheet oriented executives who considered motion pictures just another profitable venture. In 1986, Mengers, in her mid-fifties, went into an early retirement. A brief comeback at the rival William Morris agency two years later came to nothing. Kellow told TCR -- "Sue's stint at William Morris came too late in the game. She had gotten burned out on the business by then and lost her taste for the fun and wildness of it. She took the job mostly because she was seduced by the money. And she thought she could get a lot of her old clients to come back, and only one--Christopher Walken--did. Toni Howard, a prominent agent herself, and someone who was enormously helpful to me on the book, told me that you can't say 'I hate actors!' as often as Sue did and not have people remember it and resent it. And the agenting game had changed by then. The emphasis was becoming all about numbers and the back end, and she couldn't care less. She was interested in the creative end of it, and setting a top salary--and then she was finished, for the most part." Before her death in 2011, Mengers arranged for her business records to be destroyed. With little written material available, Kellow had to rely mainly on interviews to put the biography together. With the door-opening help of some of Mengers' longtime friends including the literary agent Boaty Boatwright (a Mengers pal from their New York days), Kellow gathered an impressive array of interviewees. 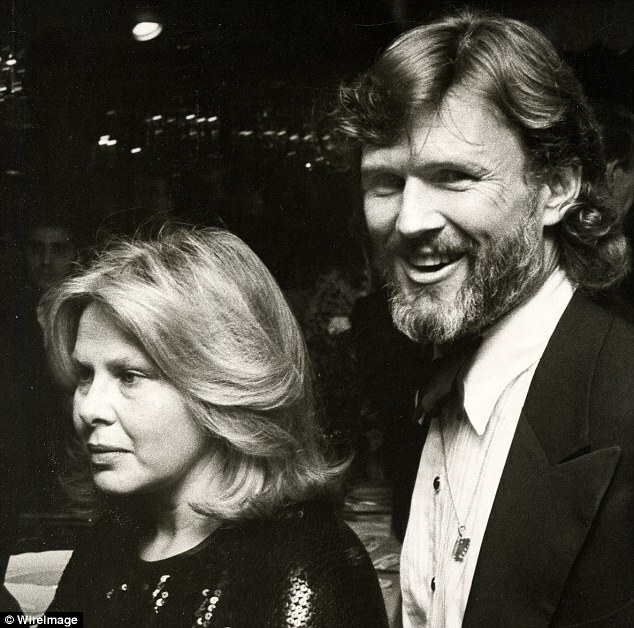 The long list includes those who knew Mengers well such as Streisand, Caine, MacGraw (or "My Ali," as Mengers liked to say) and Candice Bergen along with others, such as Woody Allen, whose interactions with Mengers were occasional and all business. "People wanted to talk about her because she was absolutely not like anyone else. How many times can you say that someone doesn't remind you of anyone else? Not very often, really. She made an enormous impact in people's lives. They were shocked by her, delighted by her, intrigued by her, angered by her. She was exasperating, yet people had great affection for her, and they wanted to talk about it with me. I could feel a lot of her former clients working through their complicated feelings about her while they spoke to me," Kellow explained to TCR. Though she no longer wielded power, in her long retirement Mengers could still draw big names and new faces (Jennifer Anniston became a friend) to her parties but it was nothing like the old days. "Sue's last years were a sad waste," Kellow told TCR. "She ate a lot, gained weight, smoked way too much weed, and alienated a lot of her friends with rude, sadistic comments. It's a very painful section in my book--it was painful to write, and I'm sure it's painful to read. And yet, she still had her lacerating wit, and people from all over Hollywood, young people too, continually sought out her professional advice. Again, her behavior was appalling much of the time, yet many people were deeply loyal to her." Is there any equivalent to Mengers in today's Hollywood? Kellow says -- "I"m sure it's likely that someday someone will do a definitive biography of Ari Emanuel. But that person won't be me. I've done my one and only book about an agent!" Thanks for such wonder information, please keep it up. Movavi Activation Key ThanX A lot This Sharing. If you work or live in Cyprus you will probably need a lawyer somewhere in the future. There are various law firms in Cyprus that offer a wide range of legal services but how do you know which one to choose? How can you select the best Law firm Cyprus? Where can you find experienced Larnaca lawyers that will not let you down regardless of the complexity of the services you need. An awesome interview, loved reading it. Nice Blog you have. most meaningful information would be there. for getting more details visit my site. There are a lot of things you can do to improve your look, but you have to be sure about the results. If you are not willing to take any chances, you should take the time to find a plastic surgeon Essex that will rise up to the task. No matter if you want a breast enlargement Essex or any other procedure, you have to work with the right people for it. I like your site and post .